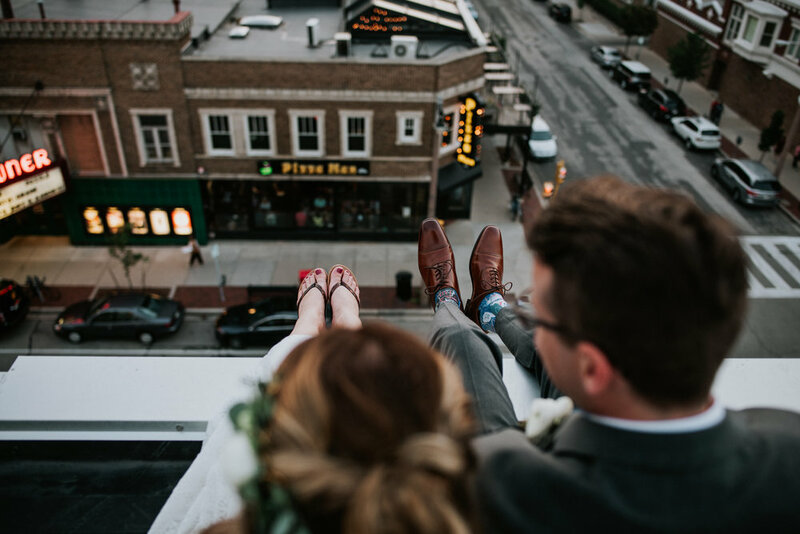 Roost Wedding packages are designed to help couples find the perfect coverage options for their special day and to maximize the value they receive. All packages are flexible and can be fine-tuned for each couples specific needs! As a helpful bonus, each package includes a planning session where the shot priorities, right locations and perfect timeline can be worked out. Additional time - $300 per hour. Customize: Select 2 of the 4 options. Two extra hours of coverage. Digital “Photo-booth” at the reception. Additional time - $200 per hour. 1. How do I lock in my date and book you? Once you have figured out your date and are ready to get started - just shoot me an email. If I am available, I will respond with a few questions that help me create and invoice and contract for you. Once I have your booking fee and signed contract - your date is reserved and we can get on to the drinking champaign and wedding planning! 2. Payment: Booking fee of 30% is due with your contract to reserve your date. Full payment is due one week before your wedding date. Pay with credit, cash, check or chase-pay. 3. Do you charge for travel expenses: There are no travel fees for wedding in Milwaukee, or Chicago or any wedding within 50 miles of Milwaukee. There will likely be travel expenses for weddings beyond an hour from Milwaukee, or that require overnight stays or airfare. 4. When will I get my photos back? I edit weddings in the order that I shoot them. My goal is to deliver within 6-8 weeks whenever possible. Occasionally there have been times where it takes a little longer - in which case I will notify the couple with a projected delivery window. 5. Previews: I usually post a sneak peak of a few images within a week of a wedding. During the busy season, I am not able to do this immediately. 6. Backups: I bring 2-3 cameras to every wedding and my cameras all write images to two redundant memory cards. Once I upload the images into my computer the day of the wedding, I back them up immediately. I keep 3 different copies of each image to ensure none are lost. 7. Meals: I will need something to eat and a place to eat it when for your wedding. FYI - I am a vegetarian. Normally I sit at a table with other guests, but vendor meals are fine, as long as I can sit where I can see what is happening. Any agreed upon photography assistants or second shooters will also need a meal. 8. What are Digital Photo-booth’s like? Photo-booths are super fun at receptions and a fantastic way to capture fun images of your guests. They operate for two hours at your reception and include props and chalkboard messages. The Photo-booth images are posted to a shareable Facebook gallery within a few days of your wedding. Typically I bring an assistant to run the booth, but sometimes I stay for additional time and run it myself. 9. Photobooks, canvas or metal prints, etc: Photos are delivered in an online gallery with a easy download link and print release. Additionally, I am thrilled to facilitate your print needs. Need to know something that isn't listed - message or call anytime!